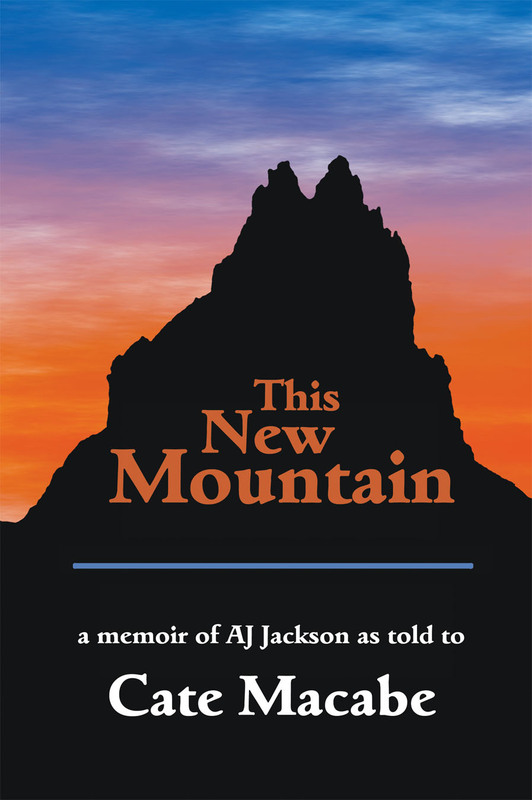 Last June I mentioned that a new book cover was in the works for AJ Jackson’s memoir This New Mountain. From the initial planning to completion, it’s taken almost a year, but it’s finally ready for the world. In redesigning the cover, we wanted to keep the colors of the sunset/sunrise, stick with an image of Shiprock, New Mexico as a focal point, and give the tow truck a more prominent role (since being a repossessor was such a big part of AJ’s life). We also wanted to bring in elements that weren’t present in the initial cover. We aimed for movement and strength with hints of what a reader would find inside the covers of the book. 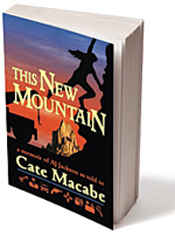 Because the memoir follows AJ Jackson as she learns the private detective trade and, in the process, learns to face her fears, I searched for an image of a woman climbing a mountain and reaching out to take the next step. I found hundreds of quality photos of mountain climbers but none so fitting as this rock climber at sunset taken on Kalymnos Island, Greece. (I can’t imagine having the physical strength or the courage to hang upside down from a rock face.) Flip the image from horizontal to vertical, apply a bit of photoshopping, and there you have it — a climber in silhouette. The last thing we did to hint at what the book is about was to include a line of icons at the bottom of the cover. I wanted to bring in symbols to represent the private detective profession, such as sunglasses, revolver, camera, magnifying lens, as well as the Southwestern motifs of a Zia sun symbol (from the New Mexico flag) and a desert with cactus. 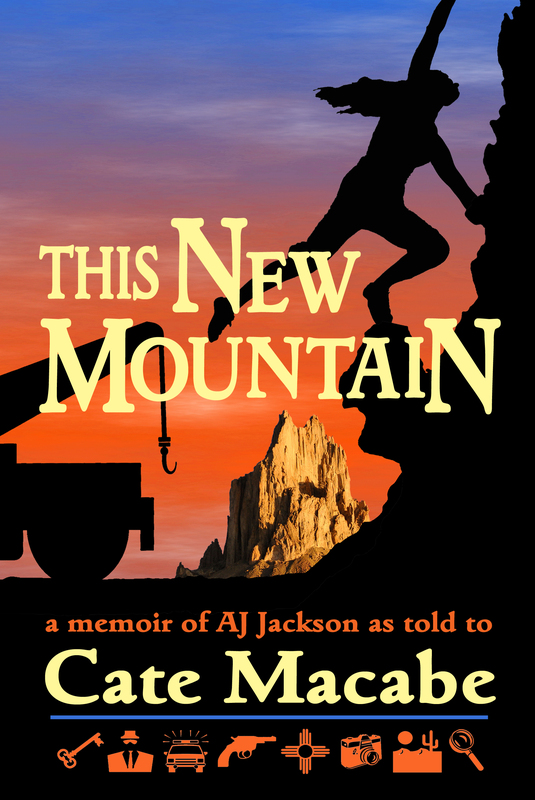 So there you go — a new book cover for This New Mountain. Which do you like more? Which one do you think is the more compelling cover?